The benefit of having an email autoresponder for your real estate blog is that it provides you a quick and easy way to follow up with your prospects – automatically. When someone registers to use your IDX map search, they’ve essentially expressed interest in buying a home. You might follow up with them right away, you might not. But by having an email autoresponder in place, you can guarantee that a series of follow-up messages are properly sent out to them over a pre-determined period of time. This makes it easy for you to go about your day-to-day tasks, and still, market to new leads. The trick is, providing a ton of useful information to pique their interest and develop trust. Otherwise, if you’re too self-promotional, you’ll lose their attention right away. 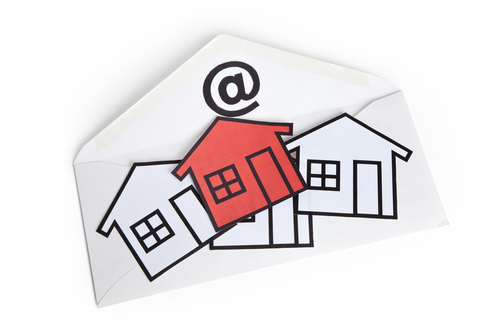 Here are some ideas for autoresponders that you can create for your real estate blog. Idea: Create a first-time home buyer tutorial series. Some people are buying a home for the very first time. They’re not very familiar with the buying process, so they’re nervous. They’re looking to consume as much information about the buying process as possible. Why this is effective: The more information you present them with, the more they’ll trust you and the closer they’ll get to hiring you as their “Go To” real estate agent. How to use this idea: Start with an outline. What are the 3, 5, or 7 things people need to know about the buying process. Take each of those steps and turn them into a series of blog posts. Then, set up your drip-campaign to deliver each post over a course of 7 days. Basically, your subscriber should receive one new post in their series every day. Idea: Create a seller series. Some people might be interested in selling their home but they’re just not quite sure how to go about it. They’re not sure what they’re home is currently worth, they don’t know what other similar homes are selling for, and they wouldn’t know how to prepare their home for sale. Why this is effective: Use a captivating headline to capture the readers attention. Something like: How To Sell for Top Dollar In Today’s Market. Truth is, who doesn’t want to sell their home for as much money as possible? In order for this to work and convert properly, you need to pack as much information into these emails as possible. How to use this idea: Start with an outline of everything that sellers need to know to effectively sell their home for sale for top dollar in today’s current market. Once you have your outline, you can start writing blog posts for each talking point in your outline. Idea: Follow-up with past clients. When’s the last time you followed up with a past client? How many months has it been? Some clients will never hear from their real estate agent for months after a transaction. Some clients, will never hear from a real estate agent at all. What this is, is a missed opportunity. To follow up and keep a close relationship with your client. And to follow up at the opportunity of generating some referrals. Why this idea is effective: Sometimes, too much time goes by before you effectively follow up with your past clients. If you put that follow up process on an auto-drip, it would be a lot easier to do though. By setting up a drip-campaign, you’re consistently following up automatically. Even if it’s just a short email to say “hello,” and find out how it’s going. Your clients might now always reply, but at least you followed up! How to use this idea: Schedule a short follow up email, just to say “hello” to be sent a few months from now. From there, you can follow up with a series of short emails with home improvement tips. Something, to keep them engaged with things to do around the home. This way, it’s useful, relevant and helpful to them. Idea: Teach people about the mortgage application process. Just like some people are learning about the buying process for the first time, some people need to learn about the mortgage application process for the first time. Should they work with a broker or banker? What’s the difference? What do current mortgage rates look like? So what would my loan payment be? Why this idea is effective: If I’m thinking of buying a house, I want to know how much house I can afford and I want to know what my monthly payment would look like. So yeah, I want to learn more about the mortgage application process. Not only do I want to know what’s needed, I want to know what pitfalls to avoid. If you teach me everything there is to know, I might just trust you enough to want to work with you. How to use this idea: Just as we did in the examples above, make a list of everything there is to know about the mortgage application process. What paperwork do you need, what’s the difference between working with a broker versus a banker, etc. Once you have that list, write your series of posts and follow up emails for each talking point. Can you think of any other content ideas for an effective email autoresponder? Are you currently using an autoresponder series? What works well for you? Will you be implementing any of the content ideas here? I think the single most important thing is to make sure the information you’re sending is useful… Especially if you’ll be sending a new email every day for 7 days. Speaking from experience, a lot of folks searching my website are just “looking” and if I started to send them an email every day for a week, it would surely be marked as SPAM. I send an initial email after they visit with a brief description of services, what they signed up for, etc. and ask them to click an opt-in link. If they don’t click, they have the choice of opting out. Although not 100% effective, this does really help in narrowing down the people who are REALLY interested in buying a home vs. those who are just window shopping. Chris: Couldn’t agree with you more. The second, the content isn’t useful, you’ve lost them. It needs to be the best, information packed content you can create. Sure, sending an email every day might not be effective. Space them out and always, always, always, deliver useful content.